“Cloud native” has always had the ring of yet another enterprise computing buzzword, one designed to sound impressive to people with money and a casual grasp of the massive shift brought on by cloud computing. But the surge in interest around multicloud computing has proven that startups born on the cloud really do have a better sense of how to operate in this world, and that expertise has significant value. 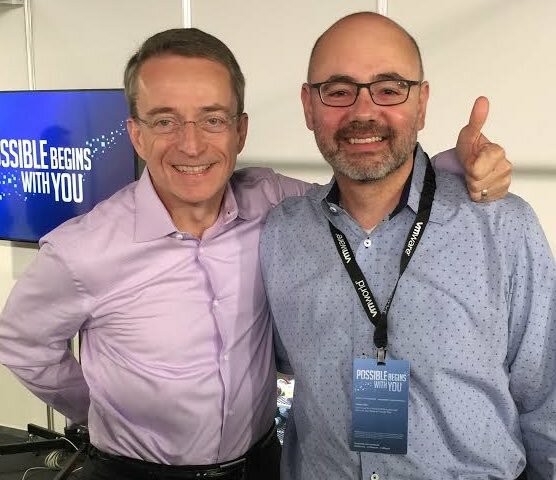 VMware — a company founded when Bill Clinton was president — has navigated this transition better than some of its peers, yet decided to bolster its cloud strategy Tuesday with the purchase of Heptio, a Seattle startup founded by two of the original developers of Kubernetes. It’s just the latest in a series of cloud-native infrastructure deals this year, including Red Hat’s $250 million purchase of CoreOS and VMware’s deal for Seattle’s CloudCoreo. Cloud computing has created entire new ways of thinking about the best ways to build enterprise computing infrastructure. It brings a level of flexibility and reliability that older enterprise IT vendors did not have the luxury of including in their products and services, which are now being eclipsed by products and services from younger companies — many of which are based in the Seattle area — that don’t have years of customer-support baggage hanging over their heads. The speed at which this transition is unfolding is catching many established players off guard just as we’re entering an era in which enterprise computing customers will run their workloads across multiple operating environments, including public clouds and on-premises infrastructure. Learning the best way to build an application on a single cloud service like Amazon Web Services is one thing; figuring out how to run applications across multiple environments will be very challenging for companies just starting to make their cloud transition, yet they have no choice if they want to keep up with up-and-coming competitors in their markets. That makes companies like Heptio and its 100 cloud-native employees quite valuable to companies like VMware. A source familiar with the deal told GeekWire the Heptio acquisition was “significantly more” than the $250 million that Red Hat paid for CoreOS in January, although the actual price paid was not clear in the hours following the announcement of the deal. Heptio, founded by ex-Googlers Craig McLuckie and Joe Beda, has spent the past two years carving out a business helping enterprise companies get up and running with Kubernetes. That open-source project allows companies that are deploying applications around containers manage and deploy those containers to computing clusters, meaning those applications can run pretty much anywhere the customers want. Older applications built directly on servers or on virtual machines with help from VMware needed to know exactly what kind of hardware was going to run their application. Containers and Kubernetes add an abstraction layer to those applications, allowing them a much greater degree of flexibility in terms of the hardware on which they are eventually deployed. That flexibility changes all kinds of assumptions based around earlier best practices about how applications should be written and deployed, for both enterprise computing customers and vendors. Yet it can be very hard to grasp the implications of this shift when customers are primarily worried with making sure nothing breaks in their current setup and vendors are saddled with internal cultures designed around their existing products and business models. Cloud-native startups like Heptio, CoreOS, and CloudCoreo can help change that culture by injecting new ways of thinking (not to mention patent-protected intellectual property, in many cases) into older companies like VMware and Red Hat. If other big enterprise IT vendors think there’s going to be a run on cloud-native talent over the next year or so, Seattle startups like Pulumi and Upbound as well as Portland’s Twistlock will be on the radar of potential acquirers. Bigger deals for HashiCorp or even Docker could also tilt the playing field as the Big Three cloud vendors look to stay sharp and older vendors like IBM, Oracle, or Hewlett-Packard look to reinvent themselves for the cloud-native era. Cloud vendors discouraged multicloud and hybrid cloud computing in its early days, arguing that you were better off standardizing on a single platform. For a long time that was true, but their embrace of Kubernetes and hybrid cloud services shows that those same vendors are aware that the ground has shifted. At some point, some of them will decide that it’s easier to purchase a sharp cloud-native team working on a new area then to try and build one themselves, and there’s no doubt companies outside the cloud are desperate to get in.